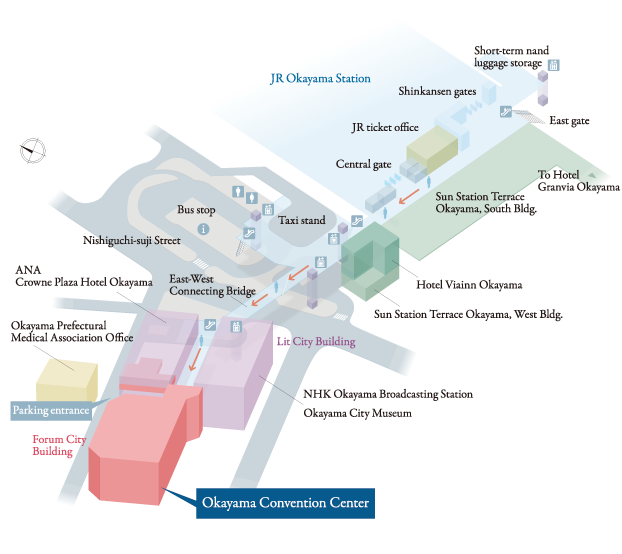 Take the bus bound for Okayama Station from Okayama Momotaro Airport. Trip duration is 40 min. (30 min. for the non-stop bus). Note: Arrives at JR Okayama Station. Copyright© 2014 OKAYAMA CONVENTION CENTER. All rights reserved.